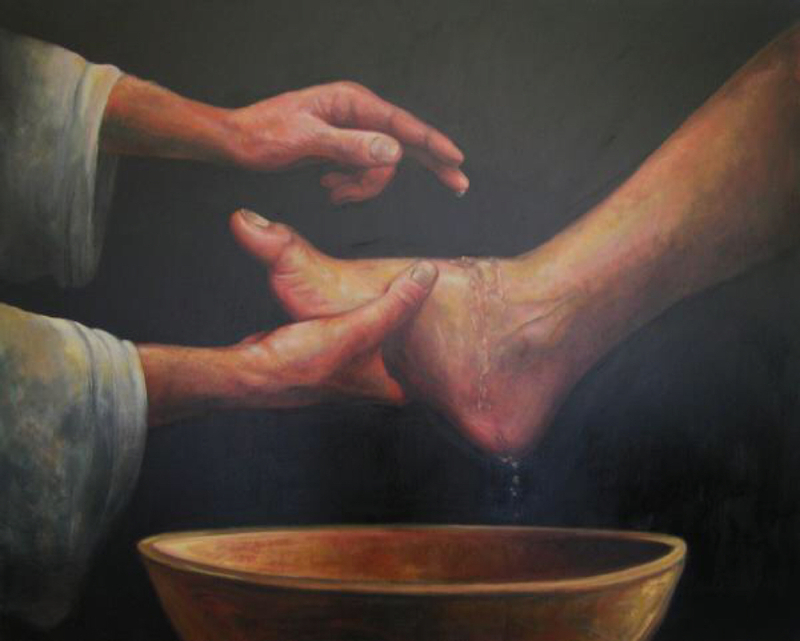 Jesus washes his disciple’s feet and then commands them to do the same for each other. (v.14) This washing one another’s feet points us to Christ’s example of what it means to love one another. This week we look at what that means in practice. In Philippians 2:5-11 we see the big picture which all of our relationships should mirror. The Son of God gives away all this privilege to enter into our sinfulness, suffer and die on the cross and reconcile us to God. From the first century church, selling everything they owned and having all things in common (Acts 2), to the breakdown of the Caste system in India, to the Countess of Huntingdon sharing her home and possessions with the poor, through history we consistently Christians living out this love in sharp contrast with the world. We should do the same. Firstly we are commanded to share our belongings and money with those in need: “For you know the grace of our Lord Jesus Christ, that though he was rich, yet for your sake he became poor, so that you through his poverty might become rich.” (2 Cor 8:9) We see this message consistently in Scripture. John the Baptist describes one of the features of repentance as sharing our belongings with the needy. (Lk 3:11) Jesus tells his disciples to sell their possessions and give the money to the poor. (Lk 12:33) In Matthew 5:42 he says we should give to whoever asks. The first church in Acts 2:42 sold all of their possessions and gave to whoever had need. There are many other verses besides where this kind of sharing is explicitly commanded. Moreover, Paul tells us that we should not only share what we have already, but work hard so that we have more to share with those in need. (Acts 20, Eph 4:28). Secondly, we are to honour one another. Honouring means to give special treatment, the world around us honours people who are rich, have status are powerful or beautiful, but the bible tells us that all people are worthy of honour since they are made in God’s image. (Ps 8:5) Christians are to reflect this truth by honouring each other regardless of worldly status (James 2:3). So, we are to consider others better than ourselves (Phil 2:3), honour others above ourselves and outdo one another in showing honour (Rom 12:10). This honouring means showing the same kind of special treatment we instinctively lavish on ourselves on others. Buying gifts, paying compliments, showing preferential treatment etc. This is deeply counter-cultural in our highly individualistic society. Thirdly, we are to accept one another as Christ accepts us (Rom 15:7). For the sake of grace and the diversity that exists in the body of Christ we are not to pass judgement on each other over inconsequential things. We are not to compare others to ourselves but exercise judgement on ourselves only before the Lord. Finally, we are commanded to show hospitality (Rom 12:13, 1 Peter 4:9). Hospitality is important because it breaks down artificial cultural barriers and enables true relationship. Our relationships with one another should be without walls, true and deep. Again this challenges UK culture quite profoundly where we see homes as places of seclusion and tranquility, designed for our own comfort. We should plan for hospitality, making time and practical arrangements so that we can frequently welcome people into our homes. All of these things are important because fellowship is a means of grace: the more we love one another the more we know him. We have to make conscious effort to switch out of our culture’s individualism. These things cannot be achieved by sheer effort but only by God’s grace. We should set our sights on God’s standards, asking him to change us by his Spirit. Lastly, we should realise that the goal of these things is for our fellowship to be full of secure relationships. In this environment there should be peace, joy and the freedom to grow. We should have an instinct for this as a church, pushing away from things that create strife, such as selfishness, gossip, backbiting and so on and being naturally drawn to things that produce peace and joy and encouragement to good works.